How do we train our brain for our well-being? This question drives Mr. Chad McGehee's research on mindfulness. 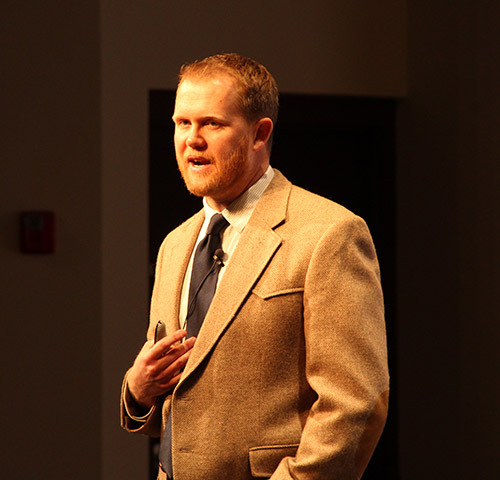 Mr. McGehee, a mindfulness teacher at the University of Wisconsin's Center for Healthy Minds Innovations, teaches on the impact of contemplative practices on well-being. He has presented on the topic to police officers, current college athletes, retired professional athletes, and K-12 educators. On January 19, 2018, as the special guest of the Joshua A. Rothstein '05 Memorial Lecture and the third HOS Symposium: The Brain speaker, Mr. McGehee pointed out four factors that affect mindfulness at an All-School Meeting. Awareness, connection, insight, and purpose all intersect with each other to affect how one processes emotional moments. In addition, mindfulness has a positive effect on neuroplasticity, which describes how brains develop and change over time. A full video of his talk will be uploaded in the next couple of weeks. In the meantime, please see photos of the talk here. *LFA would also like to acknowledge Trustee Erik Kimble '85, for underwriting Mr. McGehee's talk. The Head of School, Honor Roll, and Academic Performance Lists have been announced for the Fall 2017 semester. Students with a 3.75 grade point average or higher earn a place on the Head of School List. Those with a grade point average of 3.50 to 3.74 are placed on the Honor Roll. Students who receive an "APL" next to their letter grade in three or more subjects on their progress report are placed on the Academic Performance List. Students on this list have been recognized by teachers for their enthusiasm for the subject, commitment to excellence, positive attitude, seriousness of purpose, and reliability. Congratulations to the students who have been recognized, and best wishes to the entire student body as second semester begins. 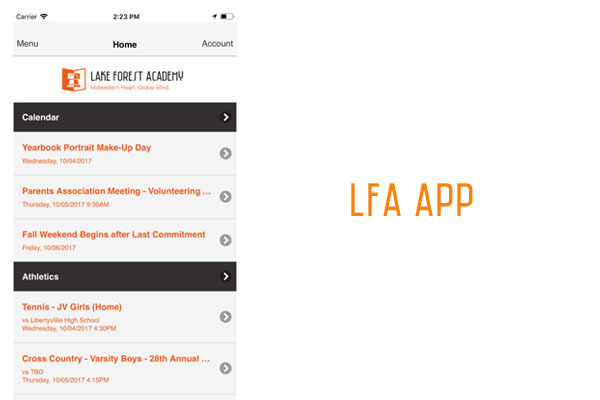 LFA is now offering an app for our website! You may easily access our web calendar, athletics game schedule, and your group pages all in one location. The app is currently available for Apple phones and iPads. Download the app here, and find answers to FAQs online. For Android users, use this document to find out how to save key web pages to your device. If you have any questions or issues with the app, please contact lfawebsupport@lfanet.org. Members of the football team helped load the boxes of food into the truck last week, and on Saturday, November 11, over 40 LFA students joined members of the Parents Association to help out at the AJK School in North Chicago. 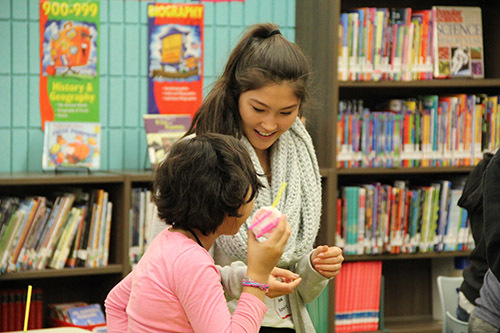 After a pancake breakfast hosted by the PA, students paired up with the younger children to engage in STEM activities. The football team arrived later that Saturday to pass out food items from the food drive at a pop-up grocery store in the gym. See photos below! The fall Chamber Concert featured a variety of solo performances from our student pianists, vocalists, and different instrumentalists. 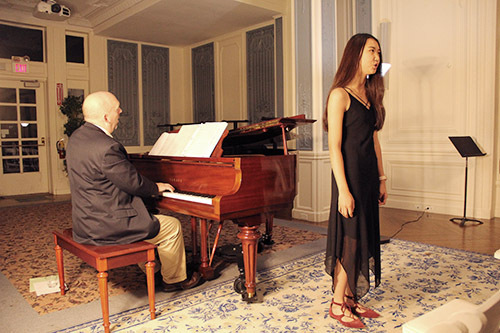 See the full performance video below, and photos can be found here. Last weekend, over 150 parents and guardians walked the halls of LFA to meet their students' teachers during mini-classes, bid on Caxy Life Auction items, and enjoy various arts performances. Head of School John Strudwick gave a State of the School address Friday afternoon, followed by a champagne toast to celebrate the two new English classrooms that were constructed this summer thanks to the generous donations from the 2017 Spring Gala. On Saturday, despite the downpour of rain and cancellation of most of the athletic games, spirits were high as parents spent time with their children, ate meals in the Student Union, and sat in on different programs, including a multicultural dialogue, a college counseling session with alumni, and a student panel about global experiences. See photos from the weekend here, and check out the different recorded videos of events below! LFA hosted its annual College Night last night, and the number of cars on campus was a small indication of yet another successful event. 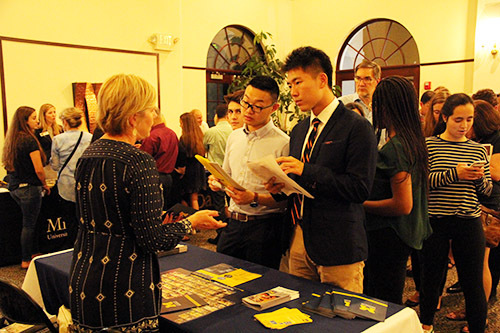 Over 120 representatives from colleges around the U.S. met with LFA students, parents, and other members of the larger Chicago suburban community. As always, big events require helping hands from our faculty, and we had shuttles running back and forth from nearby parking lots for our guests. The event helps our students put a face to a school, and the rep can be a contact for more information. 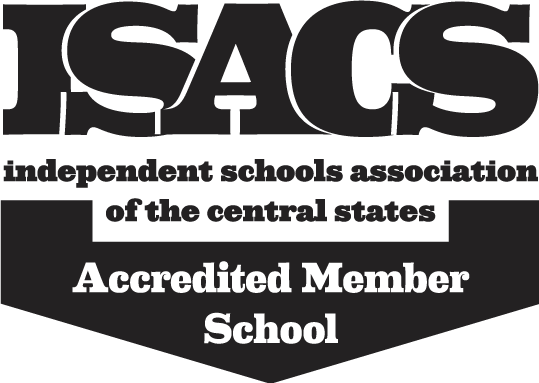 See the full list of schools that attended here. 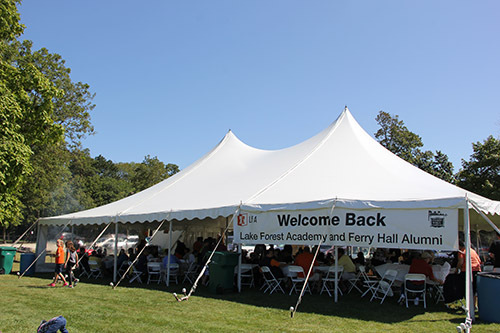 on campus on Sept. 22, 2017, for a Ferry Hall Day lunch celebration. 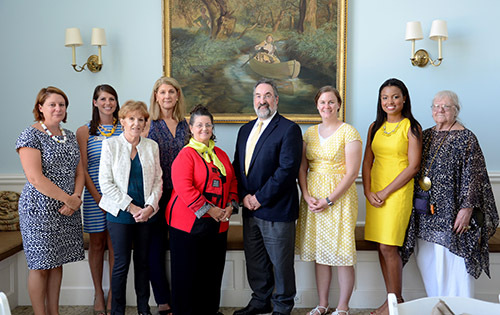 Pictured are (l to r): Suzy Vaughn (history teacher and Ferry Hall dorm head), Carolyn Gorowski (dean of admission), Lynda Pepper Bollman '72, Linda Parker Garard '73, Terry Hall '67, Head of School John Strudwick, Brooke Wesley Chapman '06 (Ferry Hall Prefect 2005-06), Kennedy Hayes '18 (current Ferry Hall Prefect), and Harriet Arpee Sherman '54. Today marks the 148th anniversary of the opening of Ferry Hall, the girls' preparatory school that merged with LFA, previously a boys' prep school, in 1974. Ferry Hall and LFA were both established as part of Lind University (later renamed Lake Forest University), and eventually legally separated from what is now Lake Forest College in 1925. We honor the traditions of Ferry Hall every year, such as Move-Up Day, and we also name a prefect as a Ferry Hall representative. This year's FH prefect, Kennedy Hayes ’18, gave a speech at the annual Ferry Hall Lunch during Reunion Weekend. We celebrated Ferry Hall Day by wearing yellow and white offering yellow cookies outside the Dean of Students Office. We also had the great opportunity to be visited by some of our "Ferries" in the afternoon. 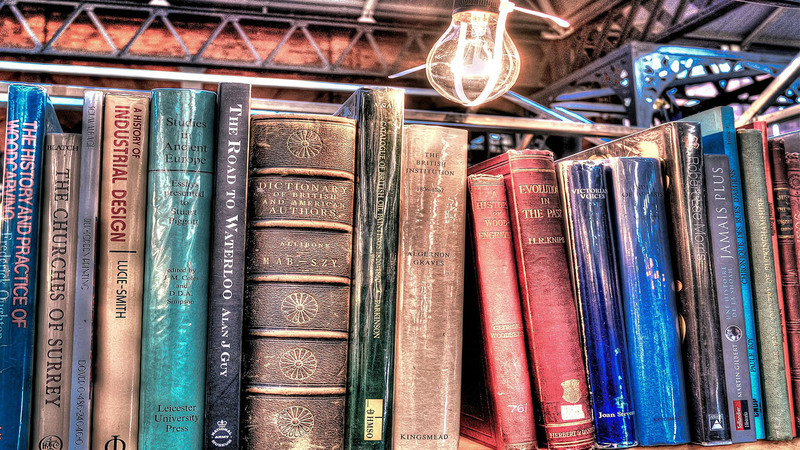 Check out the pictures taken by Ruth Keyso, our Director of Alumni Engagement! 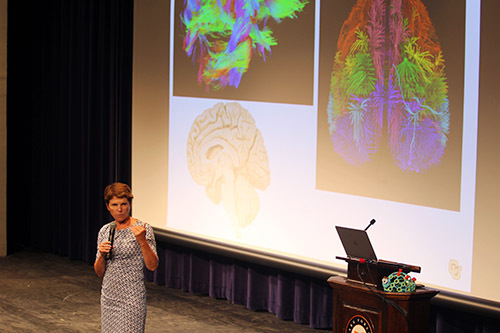 On September 20, as part of the kick-off event for the 2017-2018 Head of School Symposium, The Brain: Inquiry, Imagination, and Innovation, Professor Dr. Cathy Bodine presented on how the brain affects patients with disabilities and the innovations in Social Assistive Robotics (SAR) that are improving therapeutic treatments. Dr. Bodine's work in the Assistive Technology Partners organization at the College of Engineering and Applied Science at the University of Colorado, Denver, helps individuals with disabilities achieve different goals of movement through assistive technology. Dr. Bodine began her career in Assistive Technology in 1985. She joined the faculty of the University of Colorado Health Sciences Center in 1996. Today, she is internationally recognized for her leadership in the field of assistive technology and vigorously pursues her passions for new product design, research, service to families and persons with disabilities, and the professional assistive technology community at large through her leadership of Assistive Technology Partners. Dr. Bodine has served as the Principal Investigator (PI) for a number of pre-service professional preparation grants, as well as the Colorado Assistive Technology Act. In addition, she has served as the PI for several research and development projects leading to new designs in AT devices. She is the principal investigator for the Rehabilitation Engineering Research Center for Advancing Cognitive Technologies (RERC-ACT). She is also leading a U.S. Department of Education funded Field Initiated Development Project utilizing the International Classification of Functioning to measure assistive technology outcomes. Dr. Bodine served as the Secretary for the Board of Directors of Rehabilitation Engineering Society of North America (RESNA) and is past president of the Rocky Mountain ALS Association Board. This past Friday and Saturday, over 270 alumni from 7 different generations reconnected with their teachers, coaches, classmates, and fellow Caxys during Reunion Weekend. The celebration kicked off with a gathering for members of the Class of 1947 all the way to 2001 in Highwood, and a second event for graduates from the Classes of 2002 to 2013 in downtown Chicago. On Saturday, Caxy Keys led campus tours in the morning while sports fans cheered for our swimming, soccer, field hockey, volleyball, and tennis teams during competitive matches. 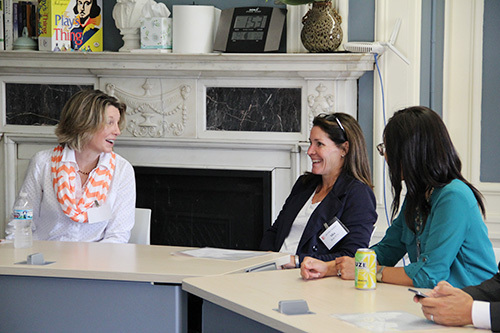 Meanwhile, LFA's Director of the Library and Archivist Rita MacAyeal '87 took alumni back into LFA's past during a master class as English and Fine Arts Faculty Member Olivia Poska conducted a simultaneous lecture about the artwork of Rembrandt Harmenszoon van Rijn. After the classes, Lusanda Mayikana, Dean of Pluralism and Multicultural Affairs, and Mark Copestake, Assistant Dean of Admission and Assistant Dean of Pluralism and Multicultural Affairs, ran a multicultural dialogue with current students, faculty, and alumni in the Student Union. The afternoon program consisted of a tour to the Ferry Hall Chapel, allowing "the Ferries" to recall fond memories of their high school years, and an exciting football game. In the evening, guests attended a program honoring this year's Woman of Distinction Terry Hall '67 and Hall of Fame recipients Chris Wetzel '67 and Jeff Keller '87, followed by a State of the School Address by Head of School Dr. John A. Strudwick. The day of festivities ended with a dinner in Reid Hall. Members of the Advancement team, including Director of Alumni Engagement Ruth Keyso and Advancement Events Coordinator Pam Dye, put in a tremendous amount of effort every year to celebrate our past graduates. 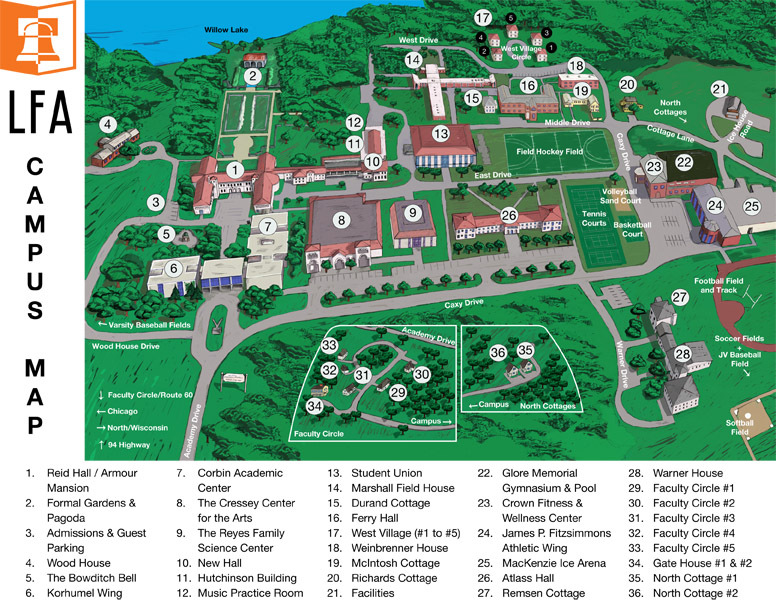 We extend the invitation for alumni to come back home to LFA at any time! See photos of the events here.